One report suggested Microsoft "blew minds" on Wall Street after Microsoft reported fourth-quarter 2018 fiscal year financial results on Thursday: $30.1 billion in revenue, up 17%, and $8.9 billion in net income, up 35%. Those numbers led to the company delivering more than $110 billion in revenue for the full year. This quarter, Microsoft Office and Cloud fueled the company’s growth. The cloud business generated more than $23 billion in revenue for the year with gross margins expanding to 57%. Sales of Surface and gaming products also gained. Search revenue ex-TAC rose 17% and 16%, respectively, driven by enhancements to the company’s advertising platform and Bing volume growth across in the U.S. and abroad. But operating expenses grew, too, driven by changes in seasonality for ad spend versus the prior year and investments in engineering across Search and AI. 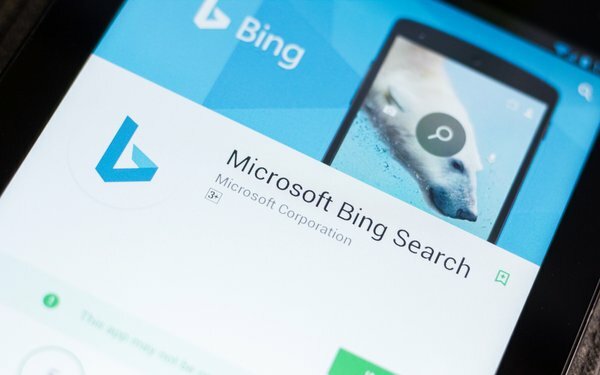 Despite Microsoft’s lack of attention to Bing in this quarter’s earnings call, the performance-marketing agency Merkle did a pretty good job at laying out some of Bing’s gains and losses this past quarter. Some of the losses, per Merkle’s Q2 2018 report released Thursday, saw a decline in the amount marketers spent on the combined platforms. In the U.S., marketers spent 17% in the quarter on Google, Bing and Yahoo, compared with the prior year. Click growth came in at 7% year on year (YoY), while CPC growth fell from 13% in the first quarter of 2018 to 10% in the second quarter. Bing Product Ad click growth rose to 110% year over year (YoY), but the cost per clicks (CPCs) declined sharply. With similar CPC trending for text ads, total Bing and Yahoo search spending growth fell to 11% YoY, despite improving click growth. Overall searches fell for the quarter, too. Organic search visits on Bing fell 12% in Q2 2018, but that marked a big improvement from the previous quarter. Yahoo didn’t do well, either. After losing its position as the default search engine for Firefox, Yahoo organic search visits fell by more than 30% YoY for three straight quarters. Google’s search visits only improved by 2.4%. Interestingly, Bing product ads now make up one-third of its search ad clicks, according to Merkle. More mobile traffic fueled product ad growth, but desktop is also growing at a healthy rate. The reports said excluding brand text ads, product ads produced 54% of advertisers’ Bing search ad clicks in Q2 2018, roughly the rate that Google Shopping ads produced for Google in late 2014. Also noteworthy, Bing ads generated 25% of its paid search clicks from phones in the second quarter of 2018, double the rate of earlier in the year. Product ads drove the growth with 53% of clicks from phones in the quarter, up from just 10% in the year-ago quarter.